The bodies of four adults -- two men and two women -- were found early Sunday lying on a walkway in a side yard of a possible unlicensed boarding house and police were looking for the gunman responsible, police said. Police found the bodies lying face down within 8 to 10 feet of each other outside the home about 4:30 a.m. in the 17400 block of Devonshire Street. The home is on a busy street, where neighbors said a large number of people were renting rooms. Two women in their 20s, a man in his 30s and a man in his late 40s were found with gunshot wounds in the quiet, suburban neighborhood. 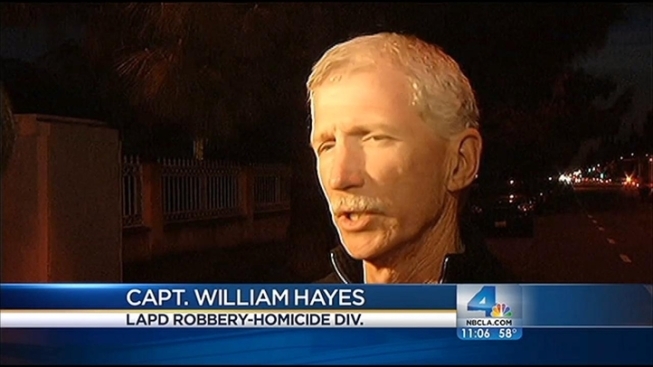 Los Angeles police Capt. William Hayes said it was not known of the victims actually lived there, or what their relationships were, if any. "Crazy," said Sarah Kigozi, who's lived in the neighborhood for over 20 years. "It's a nice neighborhood." Police did not identify the shooting victims and did not have a description of a gunman. Authorities did not know whether the victims were related or even whether they lived at the boarding house. Eight people, including families, were living in the home, police said. 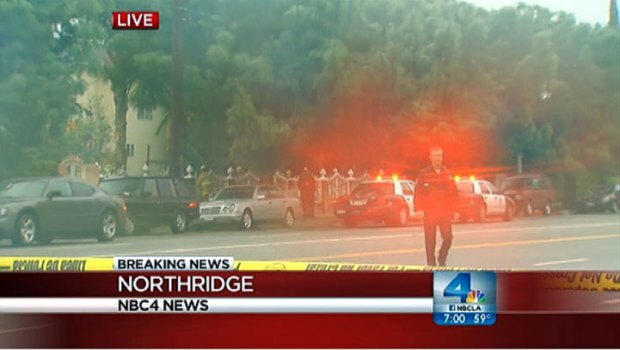 Los Angeles City Councilman Mitch Englander, whose district includes Northridge, said the shootings were not random. "These people were targeted," he said. Police spent much of the day combing the neighborhood and interviewing neighbors for clues.